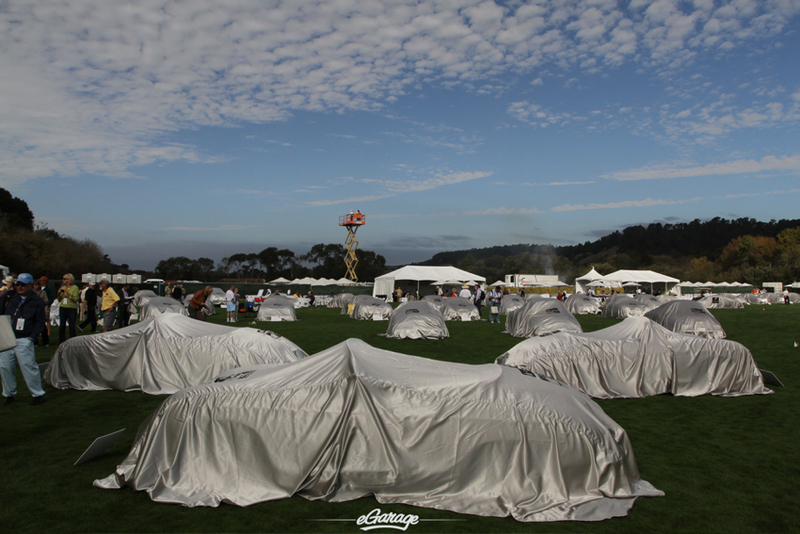 (Quail Lodge, Monterey CA) Porsche Race Car Classic featured 1960 Prototypes to 1965 purpose-built Race Cars. 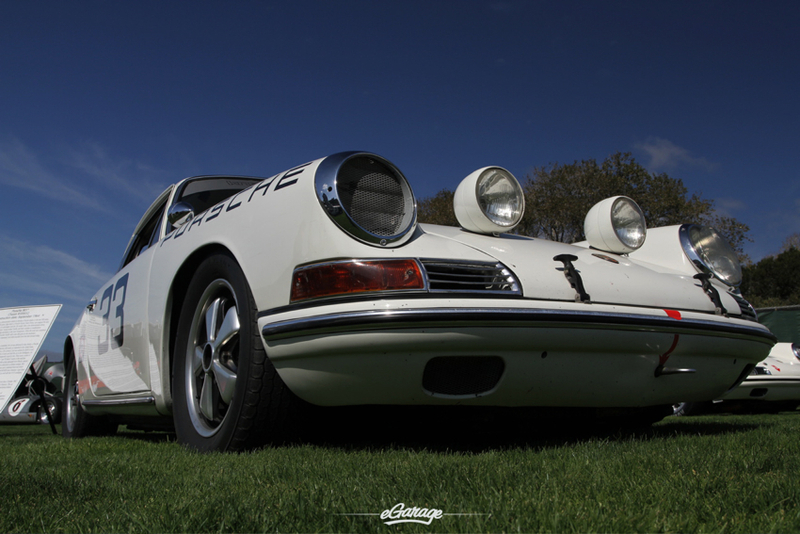 This was a remarkable and memorable gathering of Automobiles that made the Porsche Marque famous. 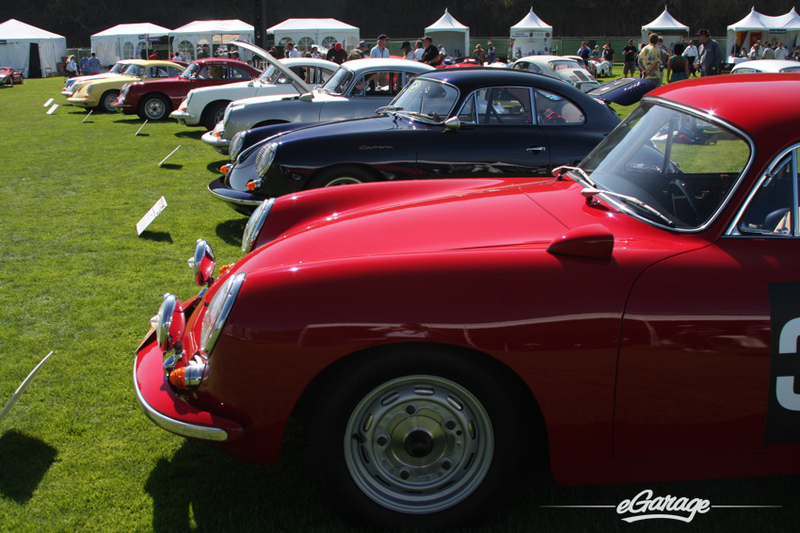 With recognizable names like Speedster, Spyder, and Carrera they were all on one lawn for the first time at the same time. 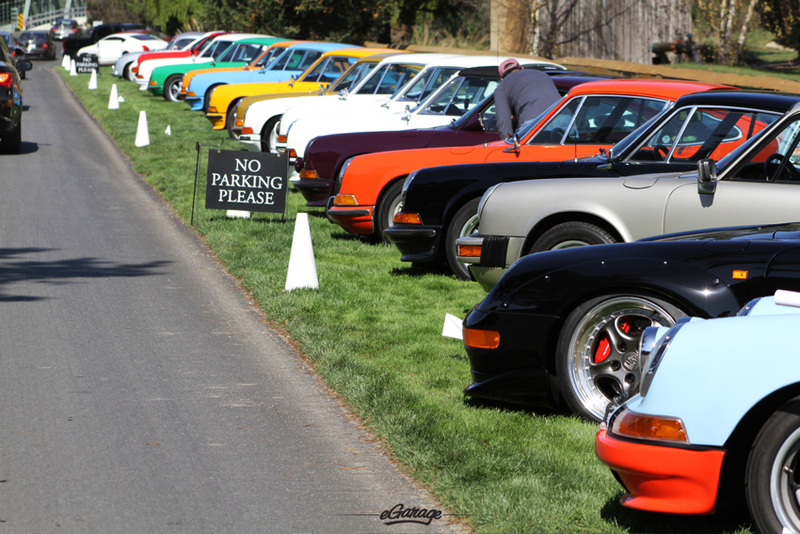 Museums and collectors gathered their prized Porsche race cars from all over the world for Rennsport Reunion IV – Sunday’s Porsche Race Car Classic at the Quail Lodge was the week’s exclamation point! 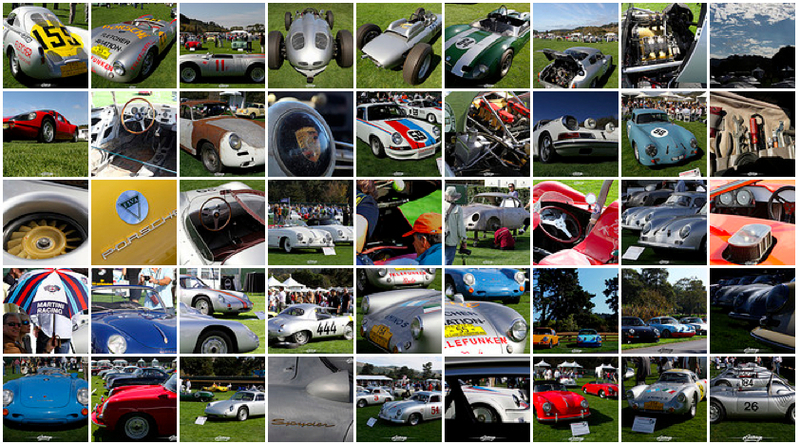 Historic Porsche model types were arranged in 18 groups. 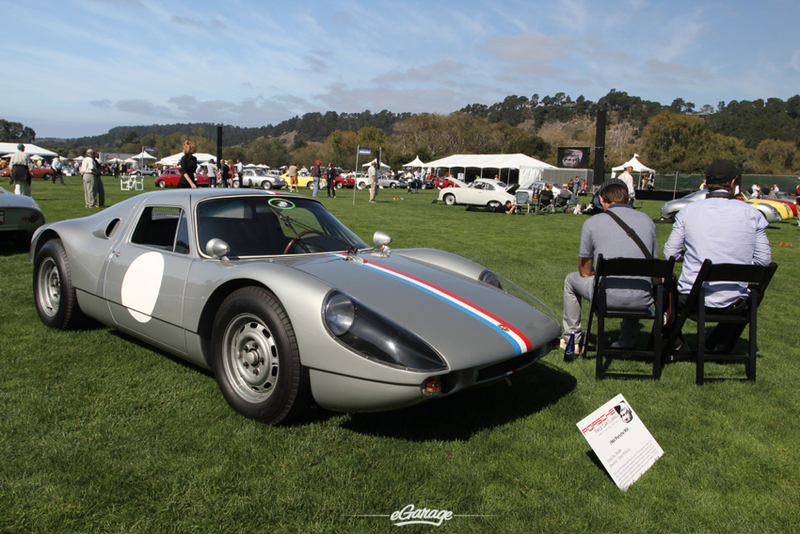 Each group represented another step in Porsche’s remarkable evolution and included the very cars that propelled Porsche into the racing world spotlight. 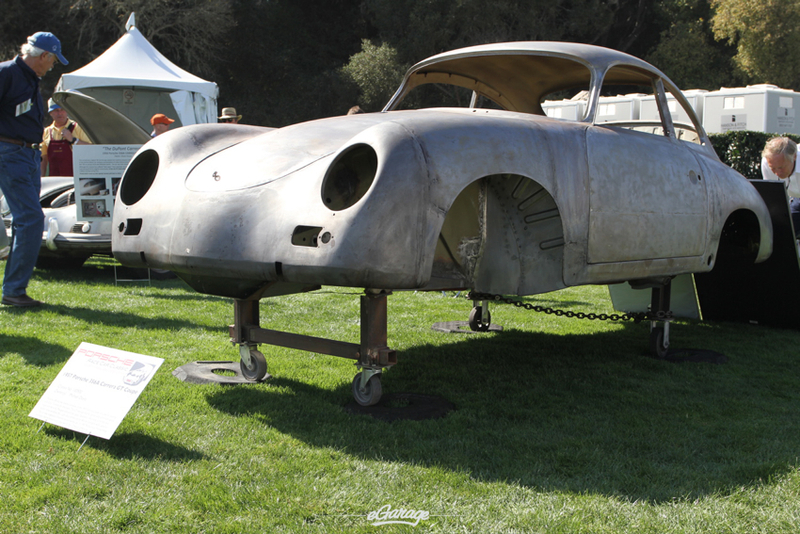 To say the rarest of the rarest Porsche’s were present is a true understatement. Sports Car Digest cited “Over 2 dozen Speedsters and Convertible Ds along with the first production Speedster. 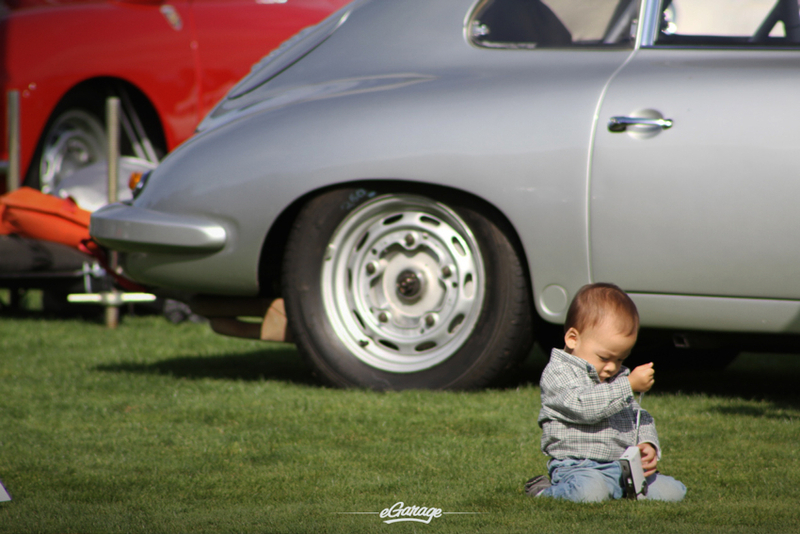 Additional 356 variants: 356B GTs, 356 SC GTs, Pushrod Speedster GTs, Carrera Coupes, Gmünds, Glocklers, America Roadsters, plus the only 2 Dreikantschabers ever made.” Other Porsche models on the green fairways of Quail at the Porsche Race Car Classic were Elva’s, 718s, Abarth Carreras, and the only two 804 Formula One cars. 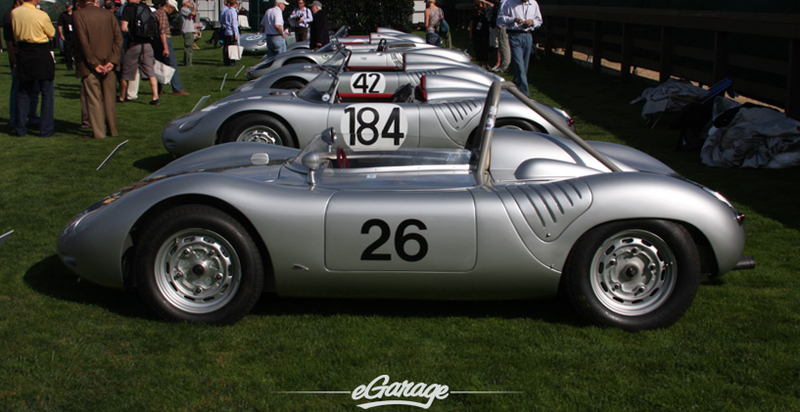 Within the group of eleven 550’s the eGarage 550A Spyder was among the original five 550 prototypes: 550/01, 550/03, 550/04, 550/06, and 550/09. 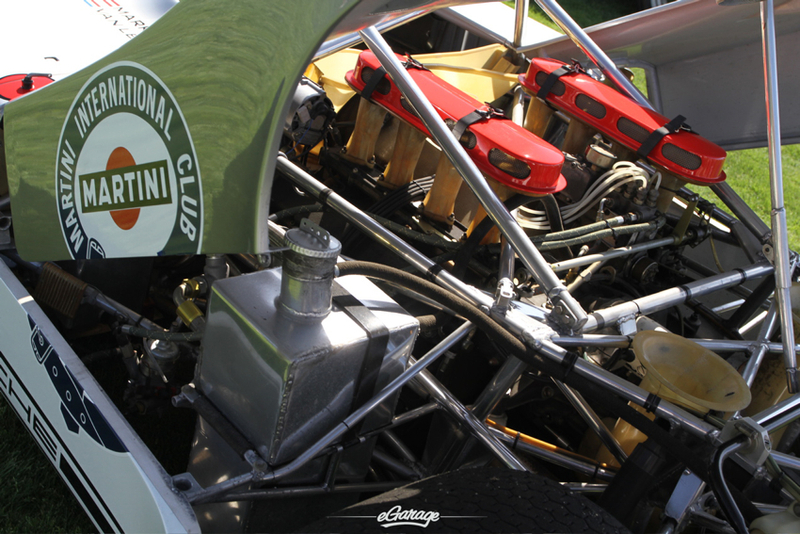 The Porsche 550 had wins at the Nürburgring, Le Mans, the Carrera Panamericana, Nassau, and these wins engraved the Porsche name into the books of race history. 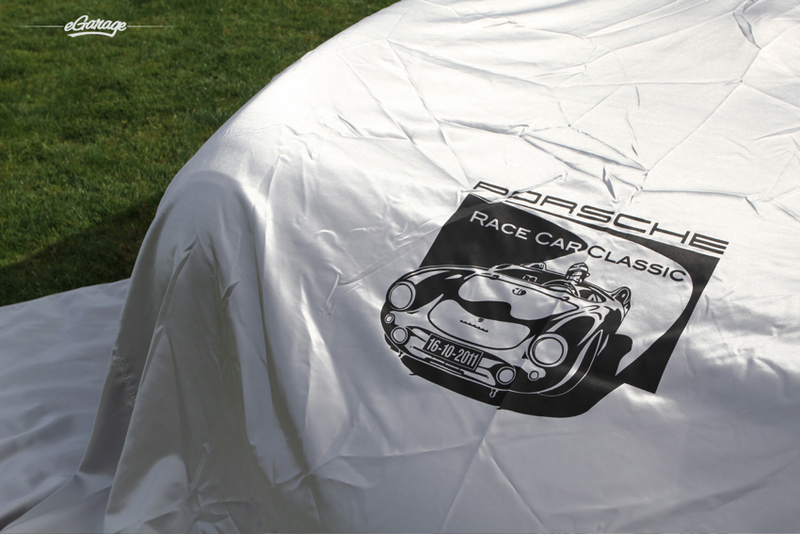 On this sunny day outside Carmel, the Porsche marque was honored in a way the world has not yet witnessed. This legendary congregation of race cars will be talked about for generations to come. The spirit, energy, and the souls of Porsche’s past looked on with great pride as their blood, sweat, and hard work was recognized like Automotive religion. 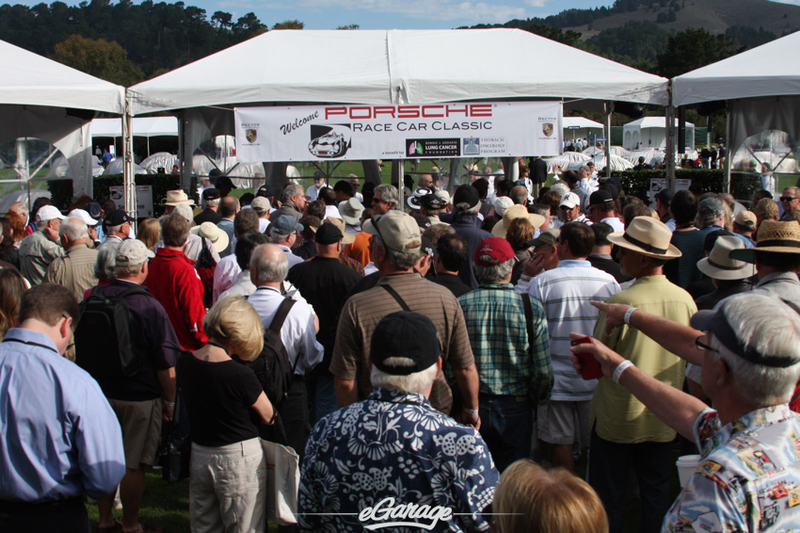 Additionally proceeds from the Porsche Race Car Classic ticket sales went directly to the Bonnie J. Addario Lung Cancer Foundation and the UCSF Thoracic Oncology Program..